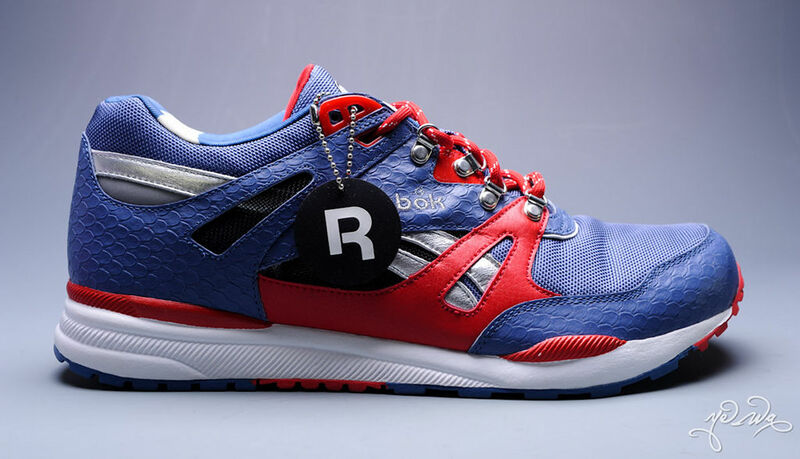 Marvel x Reebok Ventilator - "Captain America"
The First Avenger serves as the inspiration for this Ventilator from the Marvel x Reebok Pack. 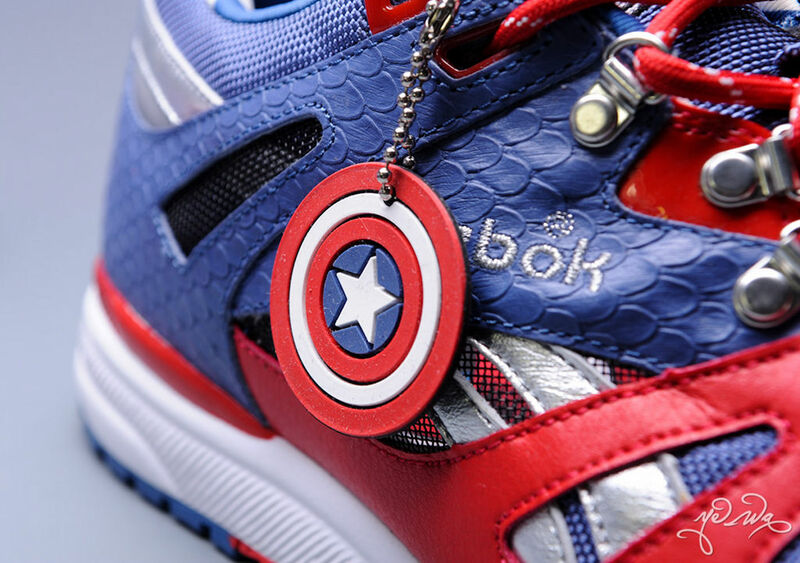 The First Avenger serves as the inspiration for this Ventilator from the Marvel x Reebok Pack. 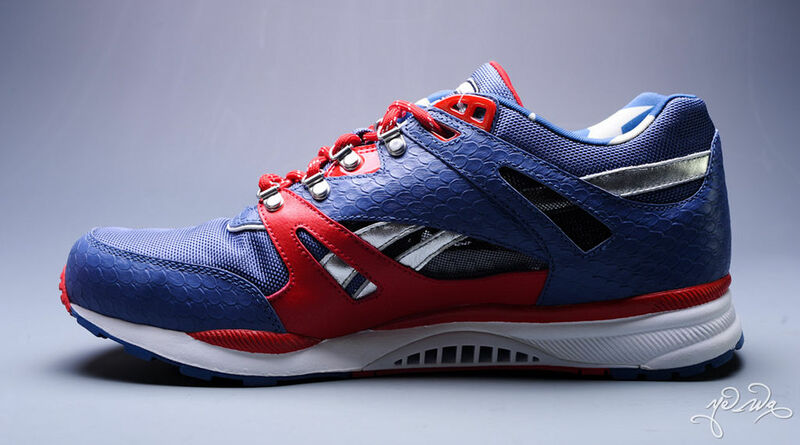 Combining classic running style with boot details, the Captain America Ventilator features a blue-based upper, constructed of mesh and scale-textured leather to represent his famous bulletproof duralumin scale armor. 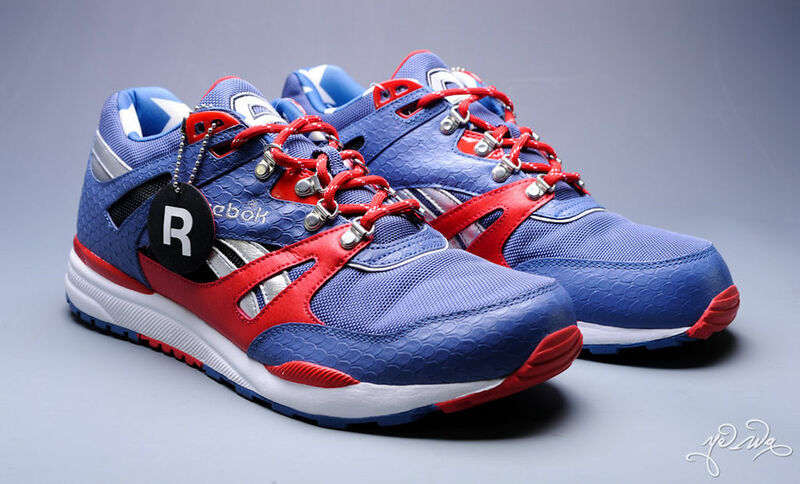 Metallic Silver and red leather overlays offer additional support, while metal d-rings and boot-style laces help secure the fit. 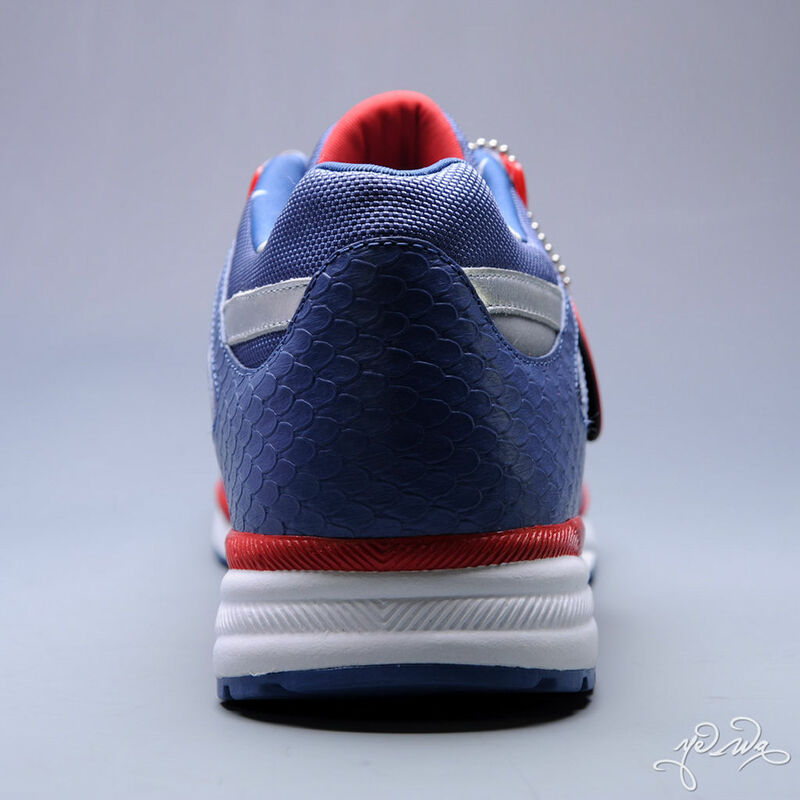 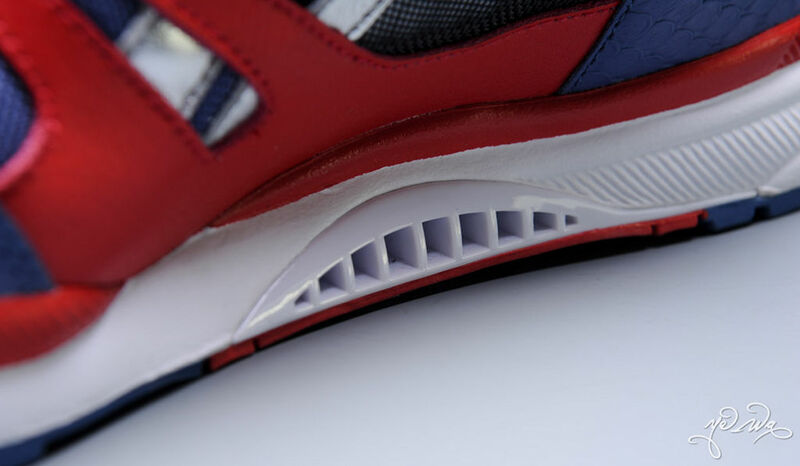 A white midsole and blue and red outsole shore things up below. 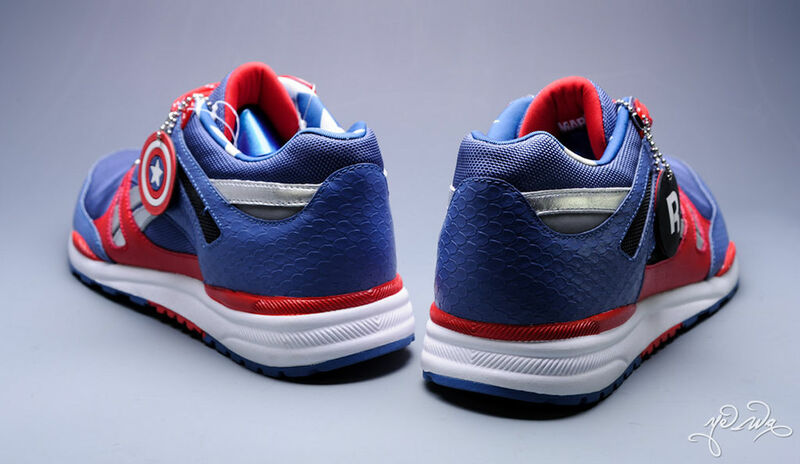 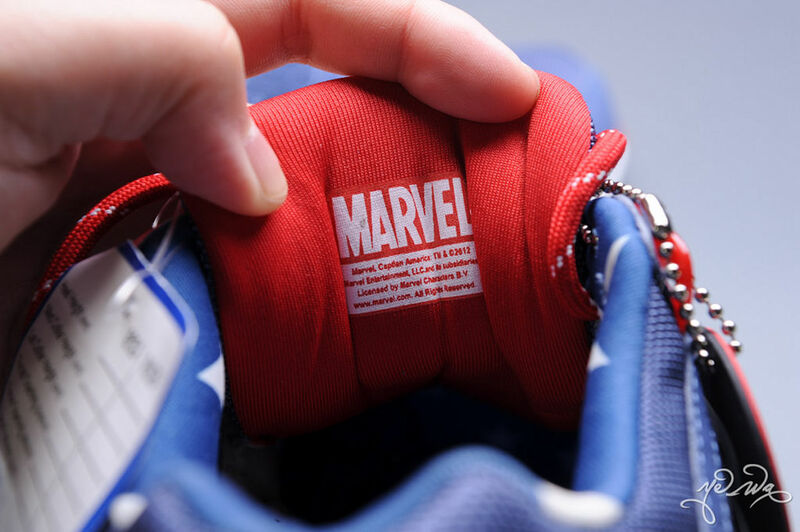 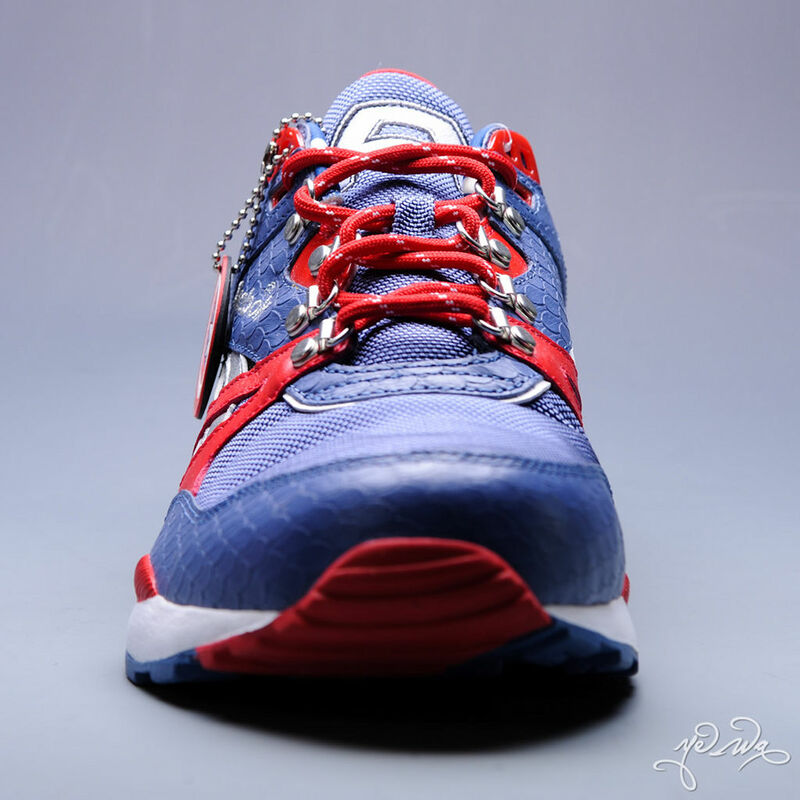 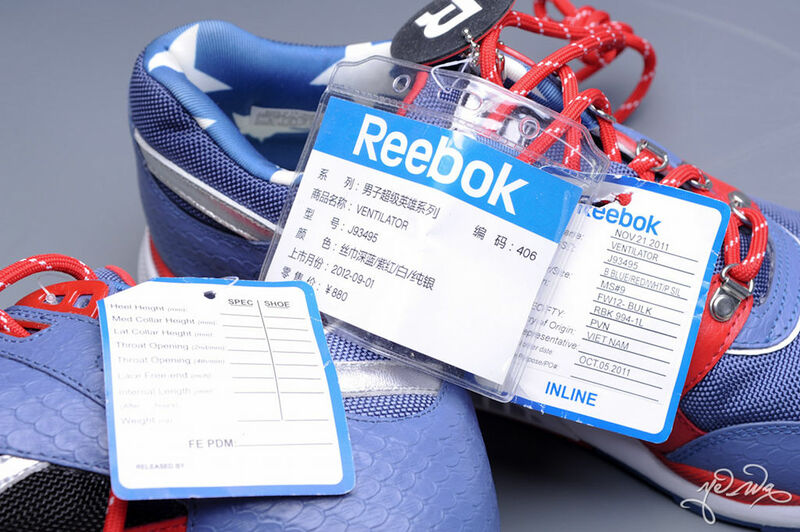 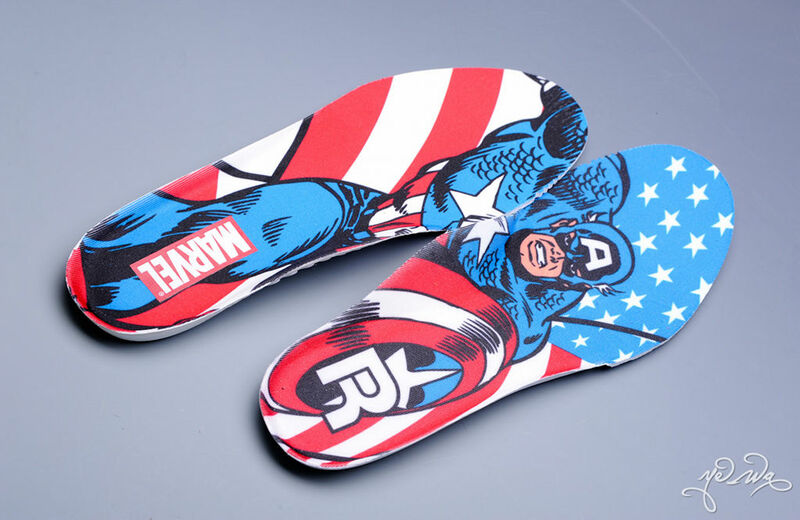 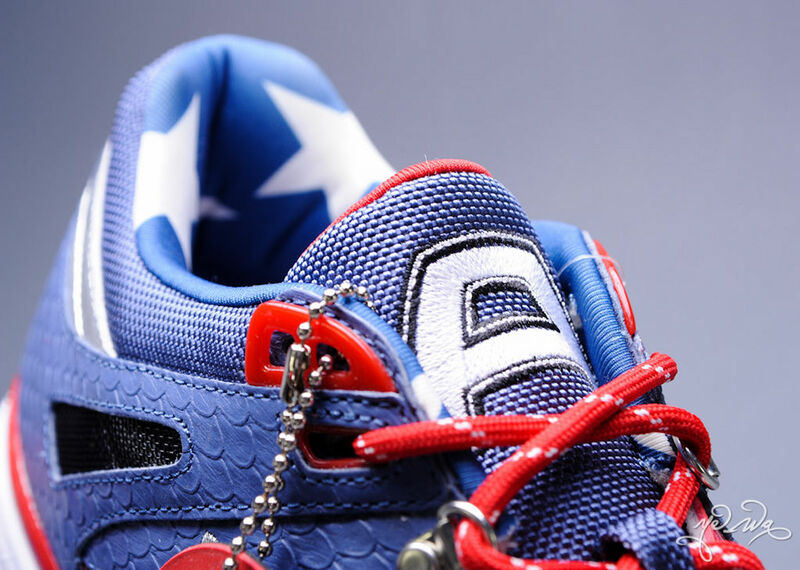 Other Captain America-specific details include a shield hang tag, "A" embroidery on the tongue, a star-printed inner lining and custom insoles. 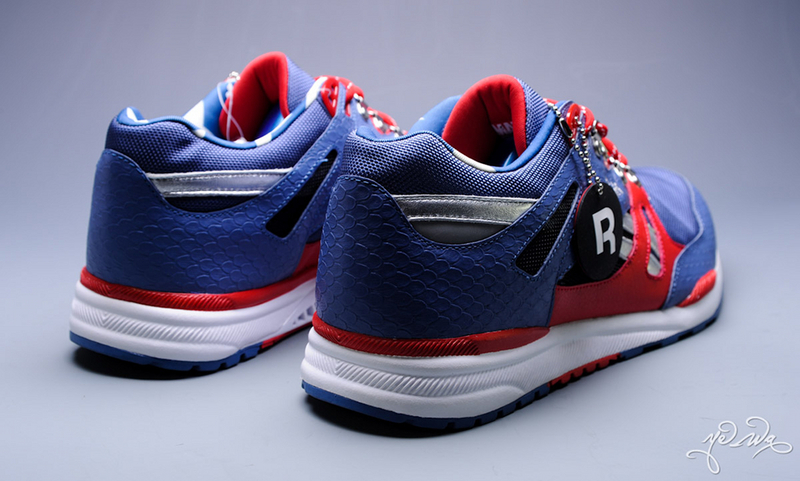 This pair will drop at select locations sometime this summer. 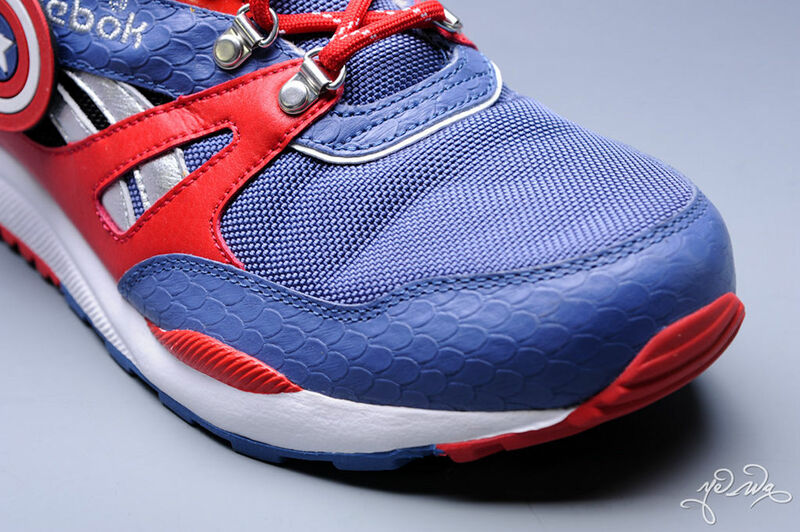 We'll provide you with release information when it becomes available.